Homeschooling – also called home education or	home school – is the education of children at home rather than in a	public or	private school. Prior to the introduction of	compulsory school attendance laws in the 19th century, most childhood education worldwide occurred within the family or community, with only a small portion of the population attending schools or employing	tutors. Today most children are institutionally schooled. Especially in the	English-speaking nations, homeschooling is an option for parents who wish to provide a quality of education or social environment that they believe is unattainable in schools. Homeschooling may refer to instruction in the home under the supervision of	correspondence schools or	umbrella schools. A	curriculum-free philosophy of homeschooling may be called unschooling, a term coined in 1977 by American educator	John Holt in his magazine Growing Without Schooling. Frontispiece to Fireside Education,	Samuel Griswold (Goodrich). 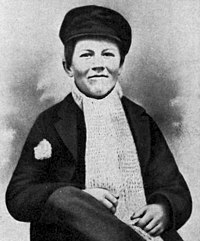 Thomas Edison attended compulsory school for only three months. The earliest	compulsory education in	the West began in the late 17th century and early 18th century in the German states of Gotha, Calemberg and, particularly, Prussia. In the United States, the first state to issue a compulsory education law was Massachusetts, in 1789, but not until 1852 did the state establish a "true comprehensive statewide, modern system of compulsory schooling." During this period it was usual for parents in most of the U.S. to use books dedicated to educating children such as Fireside Education,	Griswold, 1828, Warren Burton's Helps to Education in the Homes of Our Country, 1863, and the popular	McGuffey Readers, sometimes bolstered by local or itinerant teachers, as means and opportunity allowed. The United States has been asserted to have been at the height of its national	literacy under this informal system of tutelage. After the establishment of the Massachusetts system, other states and localities began to make school attendance mandatory. In 1912 A.A. Berle of Tufts University, later delegate to the Paris Peace Conference, asserted in his book The School in Your Home that the previous 20 years of mass education had been a failure and that he had been asked by hundreds of parents how they could teach their children at home. In 1964	John Caldwell Holt published his first work, How Children Fail. A teacher, and an observer of children and education, Holt asserted that the failure of schoolchildren was not in spite of the efforts of the schools, but actually because of the schools. Not surprisingly, How Children Fail ignited a firestorm of controversy. Holt was catapulted into the American national consciousness to the extent that he made appearances on major TV talk shows, wrote book reviews for Life magazine, and was a guest on the To Tell The Truth TV game show. In his follow-up work, How Children Learn, 1967, he tried to demonstrate the learning process of children and why he believed school short circuits this process. In neither book had he suggested any alternative to institutional schooling; he had hoped to initiate a profound rethinking of education to make schools friendlier toward children. As the years passed he became convinced that the way schools were was what society wanted, and that a serious re-examination was not going to happen in his lifetime. Leaving teaching to publicize his ideas about education full time, he encountered books by other authors questioning the premises and efficacy of compulsory schooling, like Deschooling Society by	Ivan Illich, 1970, and No More Public School by Harold Bennet, 1972 (which went so far as to offer advice to parents on how to keep their children out of school illegally). Then, in 1976, he published Instead of Education; Ways to Help People Do Things Better. In its conclusion he called for a "Children's Underground Railroad" to help children escape compulsory schooling. In response, Holt was contacted by families from around the U.S. to tell him that they were educating their children at home. In 1977, after corresponding with a number of these families, Holt began producing a magazine dedicated to home education:	Growing Without Schooling. A former WWII submariner, with no professional training in education, Holt's philosophy was simple: "... the human animal is a learning animal; we like to learn; we are good at it; we don't need to be shown how or made to do it. What kills the processes are the people interfering with it or trying to regulate it or control it." It was no great leap from there to arrive at homeschooling, and Holt later said, in 1980, "I want to make it clear that I don’t see homeschooling as some kind of answer to badness of schools. I think that the home is the proper base for the exploration of the world which we call learning or education. Home would be the best base no matter how good the schools were." Holt only wrote one book about homeschooling, Teach Your Own, 1981, and continued to hope for more expansive reform within education until his death in 1985. Almost simultaneously, in the late 1960s and early 1970s, educational professionals	Ray and Dorothy Moore began to research the academic validity of the rapidly growing	Early Childhood Education movement. This research included independent studies by other researchers and a review of over 8,000 studies bearing on Early Childhood Education and the physical and mental development of children. They concluded that formal schooling before ages 8–12 not only lacked the anticipated effectiveness, but was actually harmful to children, particularly boys (due to their lag in maturity). The Moores began to publish their findings that formal schooling was damaging young children academically, socially, mentally, and even physiologically. They presented evidence that childhood problems such as juvenile delinquency, nearsightedness, increased enrollment of students in	special education classes, and behavioral problems were the result of increasingly earlier enrollment of students. The Moores cited studies demonstrating that orphans who were given surrogate mothers were measurably more intelligent, with superior long term effects – even though the mothers were mentally retarded teenagers – and that illiterate tribal mothers in Africa produced children who were socially and emotionally more advanced than typical western children, by western standards of measurement. Their primary assertion was that the bonds and emotional development made at home with parents during these years produced critical long term results that were cut short by enrollment into schools, and could neither be replaced nor afterward corrected in an institutional setting. Recognizing a necessity for early out-of-home care for some children — particularly special needs and starkly impoverished children, and children from exceptionally inferior homes — they maintained that the vast majority of children are far better situated at home — even with mediocre parents — than with the most gifted and motivated teachers in a school setting (assuming that the child has a gifted and motivated teacher). They described the difference as follows: "This is like saying, if you can help a child by taking him off the cold street and housing him in a warm tent, then warm tents should be provided for all children — when obviously most children already have even more secure housing." Similar to Holt, the Moores embraced homeschooling after the publication of their first work, Better Late Than Early, 1975, and went on to become important homeschool advocates and consultants with the publication of books like Home Grown Kids,1981, Home School Burnout, and others. One common theme in the homeschool philosophies of both Holt and the Moores is that home education should not be an attempt to bring the school construct into the home, or a view of education as an academic preliminary to life. They viewed it as a natural, experiential aspect of life that occurs as the members of the family are involved with one another in daily living. Meighan estimated the total number of homeschoolers, in 1995, to be 10,000 official and 20,000 unofficial. Karl M. Bunday estimated, in 1995, based on journalistic reports, that about 1 percent of school-age children were homeschooled. In April 2005, the total number of registered homeschool students in British Columbia was 3,068. In Manitoba, homeschoolers are required to register with Manitoba Education, Citizenship and Youth. The number of homeschoolers is noted at over 1,500 in 2006; 0.5% of students enrolled in the public system. Karl M. Bunday cites the New Zealand TV program "Sixty Minutes" (unrelated to the U.S. program), as stating in 1996 that there were 7,000 school-age children being homeschooled. Philip Strange of the Australian Home Education Association Inc. quotes "5274 registered home educated students in 3001 families" in 1998 from the New Zealand Ministry of Education. There are no accurate statistics of home schooling in	China. However, increasing reports of homeschooling in the media suggest that the number is growing. The Compulsory Education Law states that the community, schools and families shall safeguard the right to compulsory education of school-age children and adolescents, and compulsory education is defined as schooling, therefore homeschooling is illegal. This is a source of great controversy. From 2004 to 2006 225 children had been officially registered with Ireland's National Education Welfare Board, which estimated there may be as many as 1500 - 2000 more unregistered. The right to a home education is guaranteed in the constitution of Ireland. Roland Meighan's 1995 estimate was "almost 10,000", and in 1996 the London Evening Standard stated that 15,000 families home-educating in Britain was a 50 percent increase from the previous year. One home-education advocate estimated 50,000 children being home-educated in 2005. According to	United States Department of Education report NCES 2003-42, "Homeschooling in the United States: 2003", there was an increase in homeschooled students in the U.S. from 850,000 students in 1999 (1.7 percent of the total student population) to 1.1 million students in 2003 (2.2 percent of the total student population). During this time, homeschooling rates increased among students whose parents have high school or lower education, from 2.0 to 2.7 percent among White students; 1.6 to 2.4 percent among student in grades 6-8; and 0.7 to 1.4 percent among students with only one parent. Race and ethnicity ratios remained "fairly consistent", with 2.7 percent of White students homeschooling, 1.3 percent of Black students, and 0.7 percent of Hispanic students. As in 1999, rates were highest in families with three or more children (3.1 percent), and higher in families with two children (1.5 percent) than only one child (1.4 percent). There were more homeschool students from families with two parents (2.5 percent) than only one parent (1.5 percent), and students from two parent families where only one parent worked were more than twice as likely to be homeschooled (5.6 percent). According to a 2000-2001 Barna survey, 41 percent of homeschoolers are White, 29.5 percent are Black and 29.5 percent Asian. (These figures, if true, would be significant, since Whites make up 81.7 percent of the U.S. population, Blacks 12.9 percent, and Asians 4.2 percent). The study indicated that homeschoolers are 39 percent less likely to be college graduates, 21 percent more likely to be married, 28 percent less likely to have experienced a divorce, and that the household income is 10% below the national average. Barna found that homeschoolers in the U.S. live predominantly in the Mid-Atlantic, the South-Atlantic, and the Pacific states. It found that homeschoolers are almost twice as likely to be evangelical as the national norm (15 percent vs 8 percent), and that 91 percent describe themselves as Christian, although only 49 percent can be classified as "born again Christians." It found they were five times more likely to describe themselves as "mostly conservative" on political matters than as "mostly liberal," although only about 37 percent chose "mostly conservative", and were "notably" more likely than the national norm to have high view of the Bible and hold orthodox christian beliefs. In contrast, Lawrence Rudner's (University of Maryland) study shows that homeschool parents have a higher income than average (1.4 times by one estimate), and are more likely to have an advanced education. By 2001, according to the Canadian based	Fraser Institute, Muslim Americans were the fastest growing subgroup in the American homeschool movement, and were predicted to double in number every year for the following eight years after. According to a 2003 U.S. Census survey, 33% of homeschooling households cited religion as a factor in their choice. The same study found that 30% felt school had a poor learning environment, 14% objected to what the school teaches, 11% felt their children were not being challenged at school, and 9% cited morality. According to the U.S. DOE's "Homeschooling in the United States: 2003", 85 percent of homeschooling parents cited "the social environments of other forms of schooling" (including safety, drugs, bullying and negative peer-pressure) as an important reason why they homeschool. 72 percent cited their " to provide religious or moral instruction" as an important reason, and 68 percent cited "dissatisfaction with academic instruction at other schools." 7 percent cited "Child has physical or mental health problem", 7 percent cited "Child has other special needs", 9 percent cited "Other reasons" (including "child's choice," "allows parents more control of learning" and "flexibility"). Other reasons include more flexibility in educational practices for children with	learning disabilities or illnesses, or for children of missionaries, military families, or otherwise traveling parents. Homeschooling is sometimes opted for when a child has a significant career hobby (such as acting, circus performance, dancing or violin), or for families who wish to abstain from mandatory	immunizations. However, most choose a mixed, eclectic approach. For sources of	curricula and books, "Homeschooling in the United States: 2003" found that 78 percent utilized "a public library"; 77 percent used "a homeschooling catalog, publisher, or individual specialist"; 68 percent used "retail bookstore or other store"; 60 percent used "an education publisher that was not affiliated with homeschooling." "Approximately half" used curriculum or books from "a homeschooling organization", 37 percent from a "church, synagogue or other religious institution" and 23 percent from "their local public school or district." 41 percent in 2003 utilized some sort of	distance learning, approximately 20 percent by "television, video or radio"; 19 percent via "Internet, e-mail, or the World Wide Web"; and 15 percent taking a "correspondence course by mail designed specifically for homeschoolers." Because laws vary according to individual government statutes, official curriculum requirements vary. The unit study method incorporates several subjects — such as art, history, math, science, geography and Bible or theology — around the context of one topical theme – like water, animals, American slavery, or ancient Rome. For example, a unit study of	Native Americans could combine age-appropriate lessons in:	social studies, how different tribes lived prior to colonization vs. today;	art, making Native American clothing;	history (of	Native Americans in the U.S.);	reading from a special reading list; and the	science of plants used by Native Americans. The next unit study subject could change to some other broad topic. Unit study advocates assert that children retain 45% more information following this approach. "All-in-one" curricula, sometimes called "school in a box", are comprehensive packages covering many subjects; usually an entire year's worth. They contain all needed books and materials, including pencils and writing paper. Most such curricula were developed for isolated families who lack access to public schools, libraries and shops. Typically, these materials recreate the school environment in the home and are based on the same subject-area expectations as publicly run schools, allowing an easy transition into school. They are among the more expensive options, but are easy to use and require minimal preparation. The guides are usually extensive, with step-by-step instructions. These programs may include	standardized tests and remote examinations to yield an accredited school diploma. Similar to All-in-one curricula are learner paced curriculum packages. These workbooks allow the student to progress at their own speed. Prices vary depending upon the publisher. Homeschoolers often take advantage of educational opportunities at museums, community centers, athletic clubs, after-school programs, churches, science preserves, parks, and other community resources. Secondary school level students may take classes at community colleges, which typically have open admission policies. "Unschooling" is a term that can be used with two distinct meanings. Some use the term "unschooling" to describe methods of education that do not resemble schools, primarily indicating that they do not rely heavily on textbooks or spend much time at desks. The parents actively conduct the children's education, using a variety of resources. The term "unschooling" as coined by	John Holt indicates that parents do not authoritatively direct the child's education, but interact with the child following the child's own interests, leaving them free to explore and learn as their interests lead. "Unschooling" does not indicate that the child is not being educated, but that the child is not being "schooled", or educated in a rigid school-type manner. "Unschooling" is distinct from "deschooling," which may be used to indicate an anti-"institutional school" philosophy, or a period or form of deprogramming for children or parents who have previously been schooled. Holt's unschooling assumption was that children learn through the experiences of life, and he encouraged parents to live their lives with their child. Also known as interest-led or child-led learning, unschooling attempts to follow opportunities as they arise in real life, through which a child will learn without coercion. An unschooled child may utilize texts or classroom instruction, but these are not considered central to education. Holt asserted that there is no specific body of knowledge that is, or should be, required of a child. Unschooling advocates believe that children learn best by doing; a child may learn reading to further an interest about history or other cultures, or math skills by operating a small business or sharing in family finances. They may learn animal husbandry keeping dairy goats or meat rabbits, botany tending a kitchen garden, chemistry to understand the operation of firearms or the internal combustion engine, or politics and local history by following a zoning or historical-status dispute. While any type of homeschoolers may also use these methods, the unschooled child initiates these learning activities. There may be a financial impact on families in addition to the purchase of school supplies and curriculum materials, as one parent (typically the mother) usually refrains from employment outside the home in order to supervise the child's education. Some compensate by running a business as a family, working from home, or enlisting the help of friends or relatives during the hours in which the adults are working. According to a Businessweek study, however, a second income outside the home is at least as likely to be a financial drain as a benefit, especially for younger families with children. The tangible costs associated with homeschooling are as variable as the reasons and philosophical approaches. Scholastic Achievement and Demographic Characteristics of Home School Students in 1998, Lawrence M. Rudner, Table 2.12, tracked expenditures running from less than $200 to greater than $2000, per student. Notably, the three largest categories were the lowest three levels of expenditure. Students in the $200 or less category were in third – 17.9% of all students – $400-$599 was second – with 21.5% – the largest single category, at 33.8%, was the $200-$399 range. The highest 5 expenditure categories combined – ranging from $600 to $2000 per student – amount to 25.1% of the total, and only 2% of homeschool students lived in households that spent $2000 and over. All of these levels were well below the U.S. national average expenditure for public school students in 1998; $6200-$6500 per student. The majority utilized less than 10% of public school expenditures. The study did indicate a relationship between the amount of money spent on homeschool students and academic achievement. Opposition comes from varied sources, including organizations of teachers and school districts. The	National Education Association – a teachers' union, and the largest labor union in the United States –	 is on record as opposing homeschooling outright, though in recent years it has not been as outspoken. Opponents state concerns falling into several categories: academic quality and completeness; reduced funding for public schools; lack of socialization with peers of different ethnic and religious backgrounds; fear of religious or social extremism; that homeschool curricula often exclude critical subjects; that parents are sheltering their children, or denying them opportunities that are their right, or providing an unfair advantage over students whose parents lack the time or money to homeschool. Homeschooled students generally do extremely well on standardized tests. However, some suggest that such students are a self-selected group whose parents care strongly about their education and would also do well in a conventional school. Gallup polls of American voters have shown a significant change in attitude in the last twenty years, from 73% opposed to home education in 1985 to 54% opposed in 2001. Homeschooling exists legally in many parts of the world. Countries with the most prevalent home education movements include Australia, Canada, New Zealand, the United Kingdom, and the United States. Some countries have highly regulated home education programs as an extension of the compulsory school system; others, such as Germany, have outlawed it entirely. In other countries, while not restricted by law, homeschooling is not socially acceptable or considered desirable and is virtually non-existent. In many countries where home education does not exist legally, underground movements keep children out of the compulsory school system and educated them at, sometimes considerable, risk. In other countries, while the practice is illegal, the governments do not have the resources to police and prosecute offenders. Home Schooling Achievement , a study conducted by National Home Education Research Institute (NHERI), indicates the academic integrity of homeschooling; the average homeschooled student outperforms their public school peers by 30 to 37 percentile points across all subjects. The study also indicates that public school performance gaps between minorities and genders are virtually non-existent among homeschooled students. In the 1970s Dr. Raymond S. and Dorothy N. Moore conducted 4 federally funded analyses of more than 8,000 early childhood studies, from which they published their original findings in Better Late Than Early, 1975. This was followed by School Can Wait, a repackaging of these same findings designed specifically for educational professionals. This analysis concluded that, "where possible, children should be withheld from formal schooling until at least ages eight – ten.". Their reason was that children, "are not mature enough for formal school programs until their senses, coordination, neurological development and cognition are ready." They concluded that the outcome of forcing children into formal schooling is a sequence of "1) uncertainty as the child leaves the family nest early for a less secure environment, 2) puzzlement at the new pressures and restrictions of the classroom, 3) frustration because unready learning tools — senses, cognition, brain hemispheres, coordination — cannot handle the regimentation of formal lessons and the pressures they bring, 4) hyperactivity growing out of nerves and jitter, from frustration, 5) failure which quite naturally flows from the four experiences above, and 6) delinquency which is failure’s twin and apparently for the same reason." According to the Moores, "early formal schooling is burning out our children. Teachers who attempt to cope with these youngsters also are burning out." Aside from academic performance, early formal schooling also destroys "positive sociability", encourages peer dependence, and discourages self worth, optimism, respect for parents, and trust in peers. This situation is particularly acute for boys because of their delay in maturity. The Moore's cited a Smithsonian Report on the development of genius, indicating a requirement for "1) much time spent with warm, responsive parents and other adults, 2) very little time spent with peers, and 3) a great deal of free exploration under parental guidance." Their analysis suggested that children need "more of home and less of formal school" "more free exploration with...parents, and fewer limits of classroom and books," and "more old fashioned chores – children working with parents – and less attention to rivalry sports and amusements." Dr. John Taylor later found, using the Piers-Harris Children's Self-Concept Scale, "while half of the conventionally schooled children scored at or below the 50th percentile (in self-concept), only 10.3% of the home-schooling children did so." He further stated that "the self-concept of home-schooling children is significantly higher (and very much so statistically) than that of children attending the conventional school. This of course has important implications in the areas of academic achievement and socialization, to mention only two. These two areas have been found to parallel self-concept very closely. Regarding socialization, it appears that very few home-schooling children are socially deprived. Critics who speak out against home schooling on the basis of social deprivation are actually addressing an area which favors home schoolers. Apparently, the research data indicates that it is the conventionally schooled child who is actually deprived." ^ Yang Yang. Home schooling gains favour. ^	http://www.naturalchild.org/guest/marlene_bumgarner.html, see footnote 1. More information about Ivan Illich and his philosophy. A to Z Home's Cool comprehensive. inclusive.